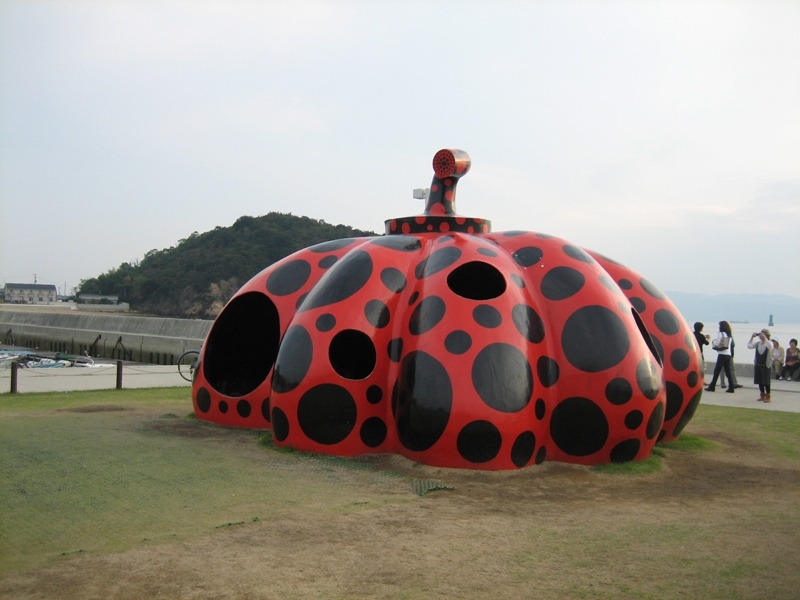 If you have heard of Naoshima from another source than this blog, you most likely have heard about Yayoi Kusama‘s Yellow Pumpkin. It is after all the island’s most famous artwork (and I almost want to say Japan’s most famous contemporary artwork), and worry not, I will also tell you about it sooner or later. 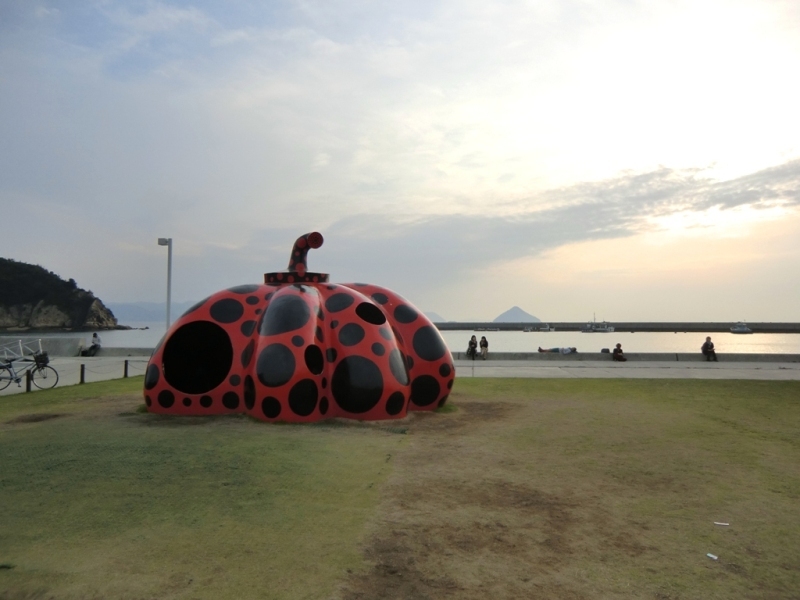 But do you know Yayoi Kusama‘s Red Pumpkin, also on Naoshima? While it is less famous, it usually is the first thing people going to Naoshima see as it’s located right next to where ferries from Honshū (Uno Port) and Shikoku (Takamatsu) dock in Miyanoura. I don’t have tons of things to tell you about it, except that it was inaugurated on October 7, 2006, that it’s four meters high (13 ft) and that as you can see on the above picture one can enter the Pumpkin. A first for a outdoors Yayoi Kusama‘s piece of art apparently. 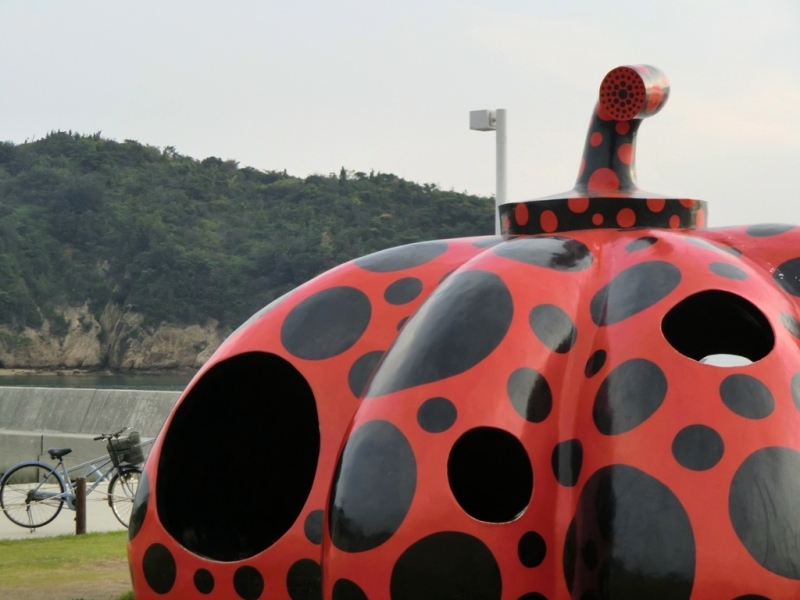 In my opinion, this quite fun pumpkin is a good starting point when you arrive on Naoshima, ready to experience all the art this island has to offer. If you don’t know what to expect on this island when you get off the boat, it will teach you quite quickly. I will end with my personal opinion on the thing. I actually know this kind of artwork that doesn’t necessarily have a meaning (if it has one for the artist, it’s not obvious to anybody else) but that is extremely pleasant in that it introduces some degree of fantasy into the real world. The imaginary vision of a person became real, there, on this port, where – as long as the artwork is there – the frontier between reality and irreality has been and will remain blurred. It is also one of the reasons why I like it when this kind of art escapes museums and galleries to enter and occupy the public space. 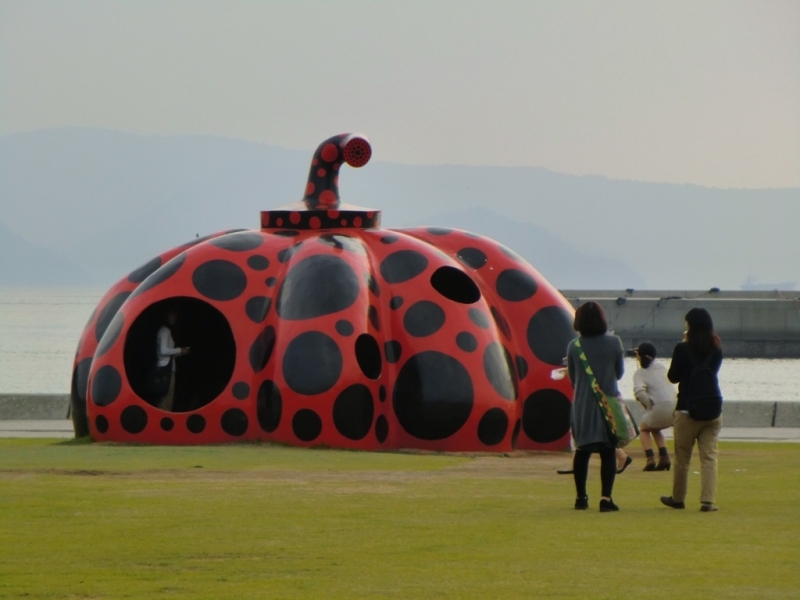 And if you haven’t already done so – I hope you’ll get to experience Red Pumpkin and Naoshima and not just read about it on a blog. Very interesting although I don’t know why red pumpkin was chosen. I really want to go to Naoshima. And yes, you should go to Naoshima some day.